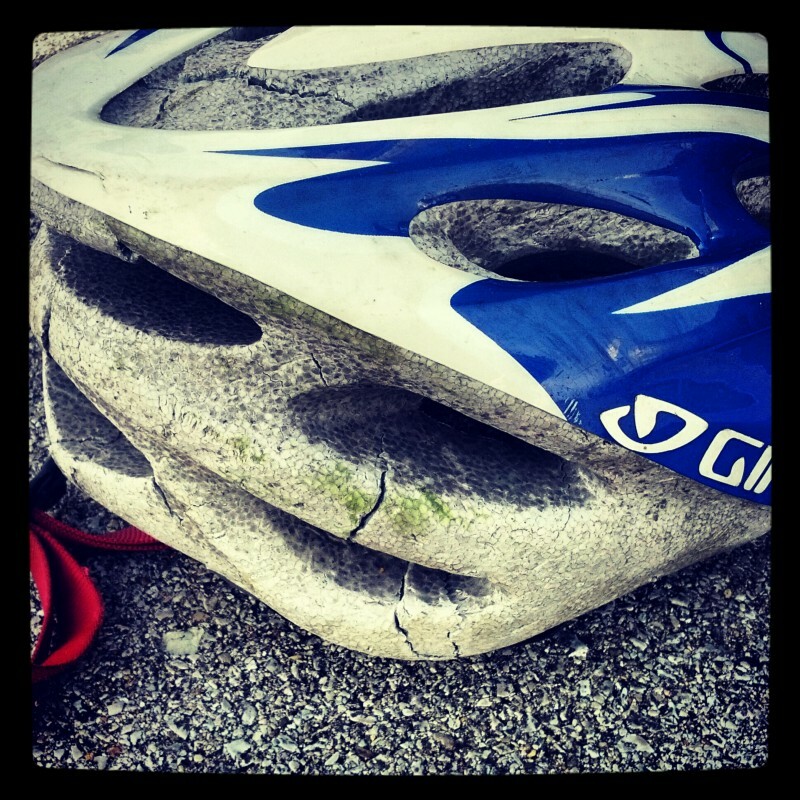 Ive written about that helmet before (Dark Start to the Day). That one at least had a happy ending. I tracked down the owner of the bike through the Louisville Bike Club mailing list. He was pretty banged up but he recovered fully and his bike was reparable. Today is another story. I don’t know how this one is going to pan out. We were walking the kids to school and saw some wreckage on Bardstown Rd in Strathmoor. A Buick had crashed into a tree and there was a big hunk of bumper and other debris all over. I also found a cell phone in the grass. I fired it up when I got to work and it started dinging like mad with texts from THE WIFE. This is bad for the baby!!! I’m filing a missing persons report. I call her from the phone. I should’ve have called her from my phone. I feel so bad when she hears my voice and her relief changes to concern again. She tells me that her husband didn’t come home last night. That he was out with her car and she’s being trying to get her daughter to school. She’s pregnant and her due date is 4 days away. I give her the names and the numbers of the texts and calls he made late last night and tell her I’ll find a way to get her the phone. They send an officer out to take my statement and collect the phone.